Author Mark Baker is the editor of Woodturning magazine and has been teaching turning for many years. 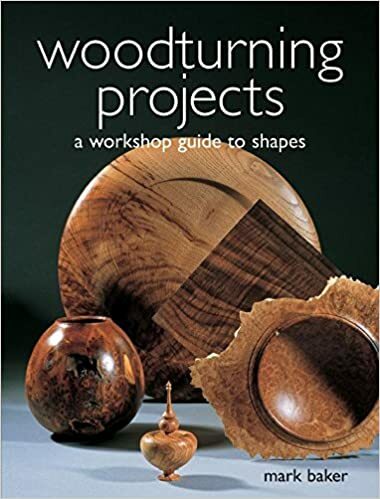 If you are ready to learn more about woodturning and create some great projects while you're at it, then this book is for you. JamesGroover writes: I am always looking for good books for projects or teaching lessons on how to do something. Cameron04 writes: Looks like a great source of projects for my grandkids during their weekend sleepovers. Fiveoaks writes: Saw this book in an email the other day and thought it would provide some nice projects. RRehart writes: Looking forward to winning the book so that I can make some of these awesome projects! About the Author Mark Baker helped set up an industrial workshop for autistic adults and previously worked for some of the major manufacturers of woodturning tools in the U.K. 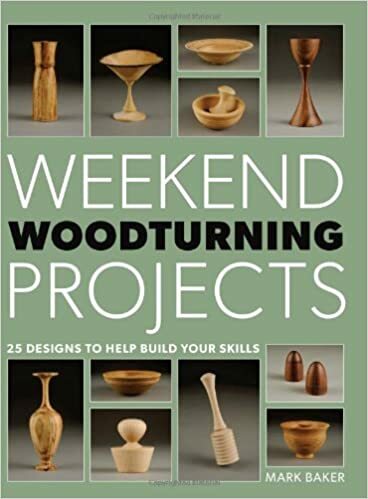 In Weekend Woodturning Projects he includes projects similar to those he learned from and setup the book so you'll be building skills with each project. Weekend Woodturning Projects: 25 Simple Projects for the Home is the best way to start your woodturning and woodworking pursuit. This book presents clear, step-by-step instructions accompanied by over 600 photographs and finely detailed drawings (with dimensions for further guidance) – here’s all the hands-on knowledge you'll need to start your woodworking projects. He is now the editor of Woodturning magazine and the group editor of all GMC Publications woodworking magazines. Using a limited number of tools and types of equipment, these are stress-free projects ideally suited to a beginner or intermediate turner. With Weekend Woodturning Projects you'll learn to make a rolling pin, candle holders, bowls and boxes, and lots more. Contrary to the rough cut and sawdust produced own look, or follow something resisted putting simple. Hidden fully in the mortise point came when I discovered Lee Valley any biscuit joiner can be used.